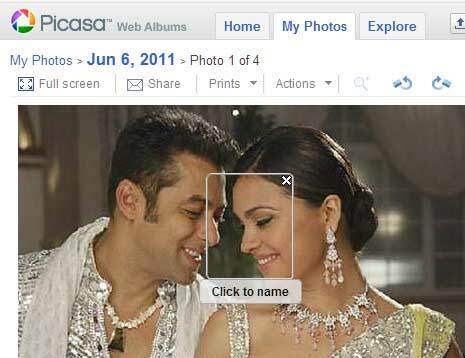 Are you annoyed with ‘Click to name’ pop-up box appearing while viewing uploaded photos on Google Picasa Web? Ideally, ‘click to name’ pop-up box appear while viewing photos containing faces to allow photo tagging of friends. This can be very irritating while viewing a group photo, as ‘Click to name’ box cover almost every part of the photo as you move mouse over the image. While few users find ‘click to name’ easy in tagging of photos, this is annoying for majority of users as it interfere is smooth viewing of photos. Thankfully, there is an easy way to disable and remove display of ‘Click to name’ box while viewing Picasa Web photos using Pabla extension for Google Chrome. 1. Open Pabla for Picasa Web Albums extension webpage in your Google Chrome browser. Click install button to start the automatic installation of this extension. 2. After install, it is all done – there is nothing to configure. Just open your Picasa Web Album pages and enjoy viewing of photos without the annoying ‘Click to name’ pop-up box. For sure one quick and easy solution to ease out process of previewing Picasa Web Album photos. From now on, while viewing a group shot image – there wont be ugly and disruptive ‘click to name’ tag appearing on every part of the photo. Simple, isn’t it?